Anne in The Ten Commandments. 1. Producer David Selznick considered Anne Baxter for the title role in Rebecca. He allegedly deemed her too young for the part and it went to Joan Fontaine. Other actresses considered for the role were Loretta Young and Vivien Leigh. 2. 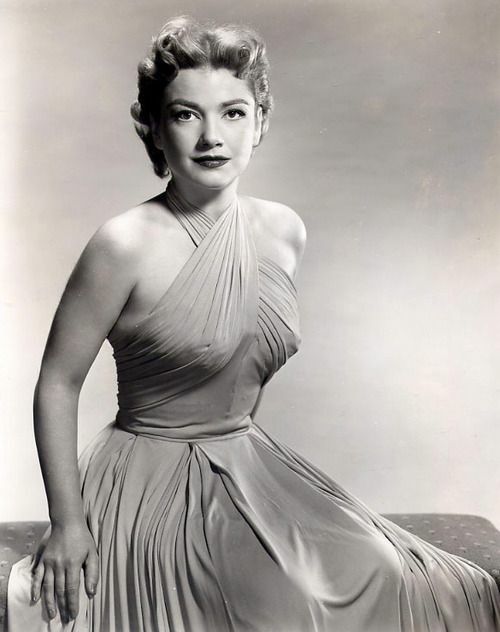 Anne Baxter famously played Eve to Bette Davis' Margo in All About Eve (1950). In 1971, she played Margo in Applause, the Broadway musical version of All About Eve. She replaced Lauren Bacall. 3. Here's a more unusual All About Eve connection: In the 1983 pilot for the TV series Hotel, Bette Davis played Laura Trent, the St. Gregory's wealthy owner. 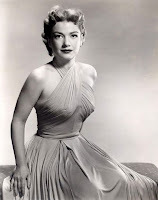 When a stroke prevented Ms. Davis from becoming a regular in the Hotel TV series, she was replaced by Anne Baxter. She played Trent's sister-in-law for three seasons until her death. 4. In the book Conversations with Classic Movie Stars, Anne Baxter recalls reading for the part of Sophie in The Razor's Edge with director Edmund Goulding: "I read a scene and the world-weary Goulding said I sounded fine. He told me he'd get me an Oscar. He said, 'I did for Mary Astor and The Great Lie was junk. This is great literature.'" It did indeed earn her an Oscar for Best Supporting Actress. 5. Anne Baxter was the granddaughter of famed architect Frank Lloyd Wright. She and first husband John Hodiak owned a unique home in the Hollywood Hills. It was remodeled by John Launter, a well-known architect in his own right, in 1951. The residence is now known as the Baxter-Hodiak Home. 6. Anne Baxter played two villains on the 1966-68 Batman TV series: Zelda the Great and Olga, Queen of the Cossacks. In the latter role, she teamed up with Vincent Price's Egghead. 7. On the subject of retirement, Anne Baxter once said: "I want to go on until they have to shoot me." She died after suffering a stroke at the age of 62 in 1985. I enjoy watching Anne flash her eyes at an enemy. More dangerous that Davis with a gun! Messed up the 1950 Oscar noms by insisting upon being in the Best Actress category. Further splitting the Davis,Swanson votes. Judy Holliday won. 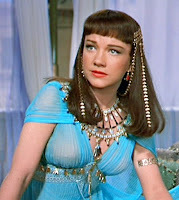 I adore Anne Baxter. I love reading facts like this that I did not know. 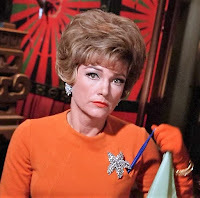 When I was reading about all of the “Eve” connections I was thinking about how lovely Anne Baxter’s eyes were and a song was written about Bette Davis’s.